The DigitalNote team has made exponential progress over the last couple months while growing the XDN core team. We are extremely excited to share the details of our pivotal network upgrade as it is XDN’s largest upgrade to date. The network retains it’s most popular features while strengthening its network with many new groundbreaking features and a more reliable codebase. Our specifications have also been vastly upgraded and the nitty-gritty details will be available in our new whitepaper upon release. We are also happy to announce our 2019 roadmap and revamped website, both available at release. A coin burn will occur after the swapping period ends. Users will have about 6 months to swap their XDN from the old codebase to the current one. Funds that have not been swapped from the old codebase within the swap period will be “burned” (destroyed), thus lowering the circulating supply of XDN. Further upgrade instructions and guides will be made available in our resource section and on our website. DigitalNote pioneered blockchain locking rewards but never fulfilled its original promise to utilize staking to secure the network, UNTIL NOW. We are excited to announce long awaited Proof-of-Stake functionality via our innovative PoW + PoS hybrid system! The old blockchain lock-reward system has evolved into full Proof-of-Stake, while still allowing for Proof-of-Work mining. DigitalNote is resistant to the 51% attacks that plague other cryptocurrencies. We have taken a proactive approach verses 51% attacks since they are no longer just hypothetical in today’s environment. The network deploys multiple layers of security to achieve this. First, the very nature of a PoW + PoS currency implies that an attacker must not only have 51% of the hashrate but they must also have 51% of the total amount of coins to be able to attempt an attack. This alone is very unlikely, but we have gone a step further by incorporating VRX v3.0. VRX v3.0 is a difficulty retargeting algorithm and system designed to keep PoW and PoS balanced, among other things. This system ensures that neither block type can overpower the other and both miners and stakers can benefit the blockchain equally, eliminating either as a potential 51% attack vector. Lastly, the new wallet verifies the entire incoming block before ever storing it to your disk, checking the stake difficulty and other parameters to make sure that a 51% attack is impossible. VRX v3.0 also deploys a velocity constraint system to ensure a narrow window around the desired block target (while still allowing for some variance) essentially eliminating timestamp attacks. Additionally we are welcoming user-run Masternodes to the network! Masternodes incentivize network cooperation, strengthen chain security and also upgrade the network to allow instant, anonymous transactions. The XDN network combines its legacy CryptoNote ring signature obfuscation (coming later this year) with coin mixing enabled through the Masternode network to provide enhanced untraceability to transactions. 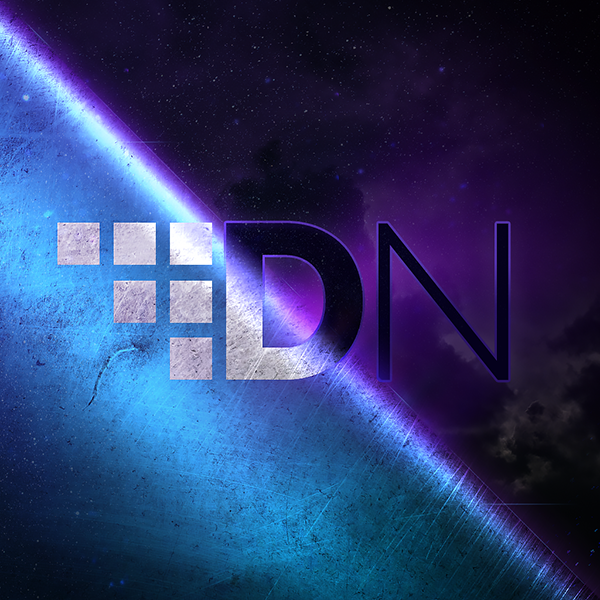 The collateral required to operate a Masternode is 2,000,000 XDN (more technical information is available in the resource section). The DigitalNote blockchain is now lightweight and mobile-ready. This will allow for features like a mobile encrypted messenger and mobile wallet, among other innovations. Adaptive block sizes also help to govern the maximum allowable blocksize based off of network usage. This allows for seamless adaptability of the blockchain system to handle any kind of network load and environment. Users will need to download GUI wallet v1.0.18 or the CLI daemon + wallet v7.0.3 in preparation to swap their XDN to the upgraded chain. They will also need to download the new Digitalnote v2.0 wallet to receive their coins on the upgraded chain. The links for those wallets will be available below in the Wallet Releases section, our website and github. Once you have the v1.0.18 wallet and the new v2.0 wallet, all you need to do is visit our official Discord (https://discord.gg/4dUquty) and use our automated swapbot to complete the process. We will have a full swapbot guide available for users upon release. The swap is 1:1. Bittrex and Upbit are supporting the upgrade and are already prepared for the release. That means that any funds that users have on Bittrex are completely safe and you may trade safely on their exchange! Their XDN wallet, deposits and withdrawals will be re-opened on April 5th. We are currently working with HitBTC to open their exchange wallets and we have even begun to hear from Minergate and Freewallet with expressions of support. We will keep the community updated via our social media channels. The best place to stay in touch is our Discord channel or Twitter (links below). We will also be sure to distribute guides for Masternode creation, staking help and other important topics so that users are prepared.